No, it's not a cup and handle pattern. It's not a triangle. And it's not a head and shoulders pattern. The first pullback after a trend line break. The first pullback after a breakout. 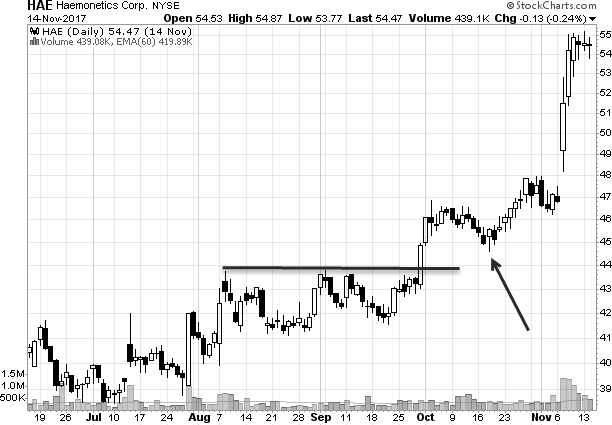 The first pullback after break down (short). The first pullback after any wide range candle. The first pullback after a break to new highs. 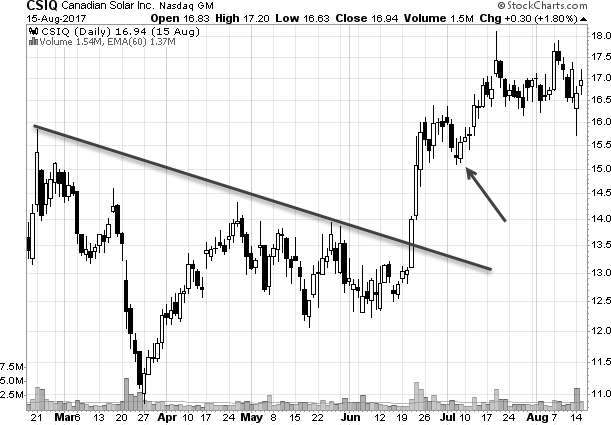 This stock broke the down trend line (significant price event) and then set up a pull back that offered a great entry. This stock broker the upper tend line and then offered you a gift - a nice pull back. Accept the gift! 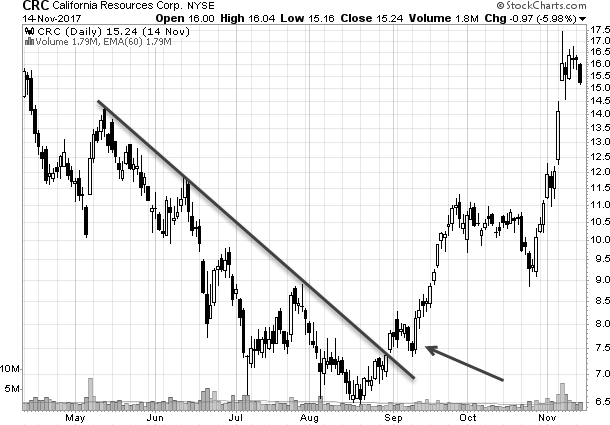 This was a nice breakout and then pulled back just enough to establish a position. So when you run your scans looking for setups, try to identify those "first pullback" scenarios. You want to trade those over all others, because those carry the greatest potential profits. This is the one pattern that I am hoping to find the most - that perfect first pullback scenario that swing traders (and day traders) have come to know and love!